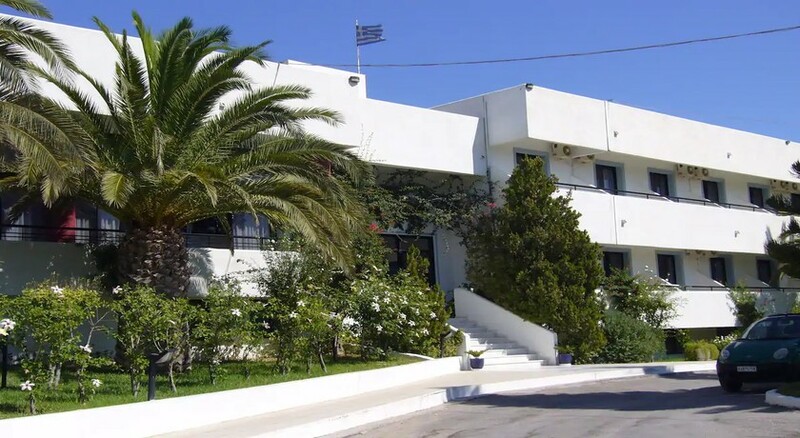 The hotel is a family bussiness which owns and manages the hotel, immigrated from Australia to find its origins in Pyli village on Kos island and cultivated the Greek hospitality over the years. Nina Beach preserve the traditional Kos islander's temperament while hotel Nina's staff is multicultural and multilingual in order to serve you in the best possible way.Nina Hotel is fully air-conditioned and provides a Cinema/Play room with internet games and satellite TV. 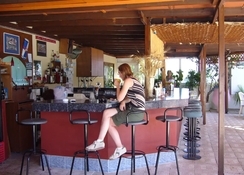 The pool bar has a variety of tropical cocktails and snack foods. There we often hold our famous Greek nights and every third day we throw Latin pool-parties, both lasting all night long. The pool bar is also equipped with a wide screen TV, to watch football and many other events. 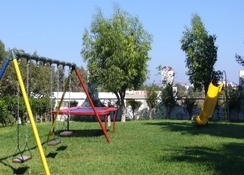 The tropical environment of the mini-golf and that of the trampoline area resonate an exotic feeling. Kos is situated on the South Eastern Aegean Sea and is the 2nd largest island of Dodecanese after Rhodes. Kos has a population of 20,000 and is considered the island of medicine. Hippocrates' oath ancient site and Asklipion ancient hospital are to be found on the Island. 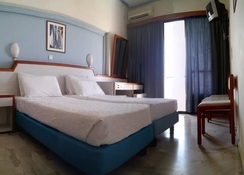 Nina Hotel offers 102 spacious rooms (61 double, 17 family and 24 studios), decorated with the traditional Greek blue and white colors. All guestrooms include outdoor terraces and private balconies while they are equipped with orthopedic beds, air-condition, satellite TV, telephone, fridge, radio and hairdryers. There are rooms with showers and rooms with large bathtubs. Nearby Nina hotel lays the castle of pyli, the famous ancient fountains and the grave of king Harmylos. Pyli is also widely known for horse-bree. Pyli is also widely known for horse-breeding and beach-horseback riding. Marmari beach (next to Hotel Nina) is one of the best beaches in the Mediterranean, with glowing white sand and crystal clear waters and an ideal fishing ground. 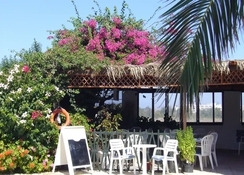 Cycling, bike rentals and buggy tours are extremely popular in Marmari beach.